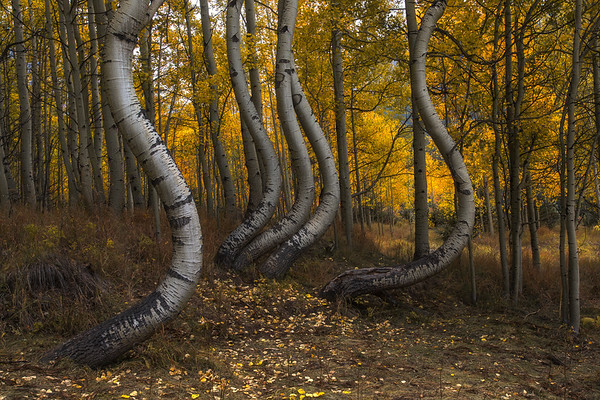 Composition is extremely important in creating an interesting photo. Having a good composition can really separate a photo from being average to being great. It's really important and also really difficult sometimes to find a great and unique composition. Every place you go to is different and every scene has different elements. Because of this, it's very important to move around and try different compositions to see which one works the best for you. In this blog post I will detail some tips and some things that I think about when finding a composition. One of the first things I consider when taking a photo is if I can add a leading line to the composition. Usually, this means having something in the foreground such as a log, a crack in the ice, or a stream that points to the main subject of the photo. The reason this works so well and adds so much interest to the photo is because it directs the viewers eye to the most interesting part and adds a lot of depth to the photo. 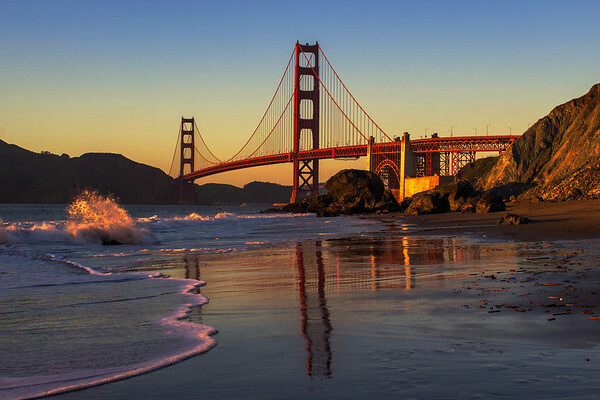 For the photo of the Golden Gate Bridge, I waited until the right time so that the waves created a leading line pointing and drawing the viewers eye to the bridge. 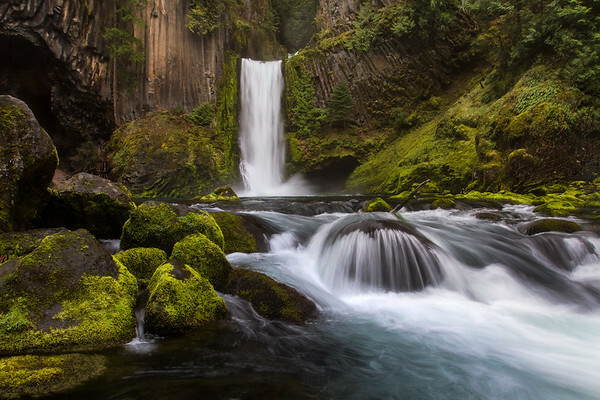 In the picture of Toketee Falls in Oregon, the stream on the right and the rocks on the left both act as subtle leading lines coming from the bottom corners of the image and leading the eyes to the main subject which is the waterfall. Leading lines are a great compositional tool to add depth and dimension to an image. Framing is another element of composition that I'll use in my photography. Framing, like leading lines an draw the viewers eye into the center of the image. It also adds a border that simplifies the composition and puts more focus on a subject. This can be done in many different ways. I tend to use tree branches, rocks, and even clouds to act as a frame. 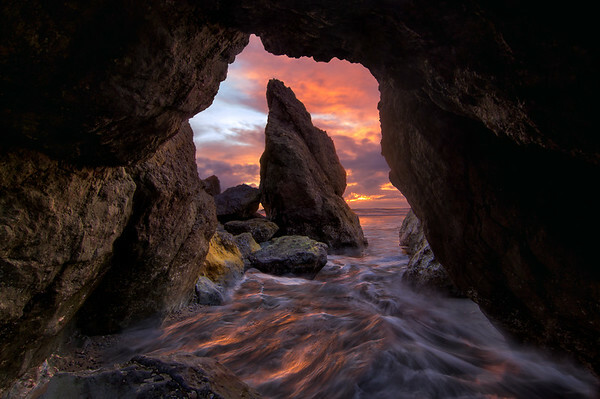 In the first image of Ruby Beach the rocks create a frame and put all of the viewers focus on the waves, seastack, and the sunset in between the rocks. 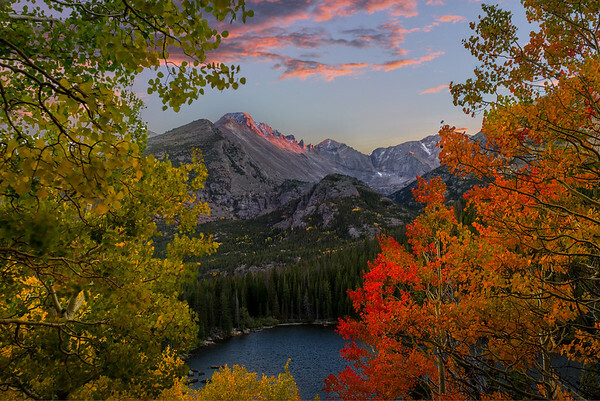 The next picture of Bear Lake in Rocky Mountain National Park shows the use of tree branches as a frame. They put more of a focus on the lake and the mountains in the background. Adding framing to a photo is another great way to focus the viewers attention on the most interesting subject, improving the overall photo. Rule of thirds is one of the oldest and most known rules of composition. It means to divide your photo into three sections either vertically or horizontally and put the subject on one of those third lines. In landscape photography lots of times this means to put the horizon on one of those lines and either put the sky on the bottom or the top third of the image. The rule of thirds works well because an off center composition is more appealing to the viewers eye and creates a more interesting photo. 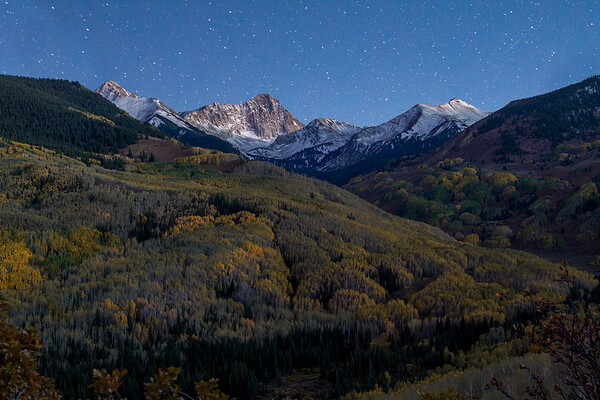 In the first image of Capitol Peak under the stars, I placed the mountain peak in the top third and close to the left third creating a nice balance in the image. In the second image of Dead Horse Point State Park I put the horizon on the top third of the image, separating the sky in the top third and the landscape in the bottom two thirds. The rule of thirds creates a nice balance of the photo, making it more interesting and appealing to the eye. I believe one of the most overrated aspects of composition that people tend to overlook is simplicity. Simplicity is beneficial to a photo because it can simplify the photo to just the main subject, making that subject more impactful . By reducing and eliminating the factors of a photo that aren't as interesting, it makes the interesting parts even more of a focus. This can be done in many ways. Fog and snow both do a good job at simplifying composition, or it could just mean moving the composition just a little bit to avoid a tree branch or shrub. 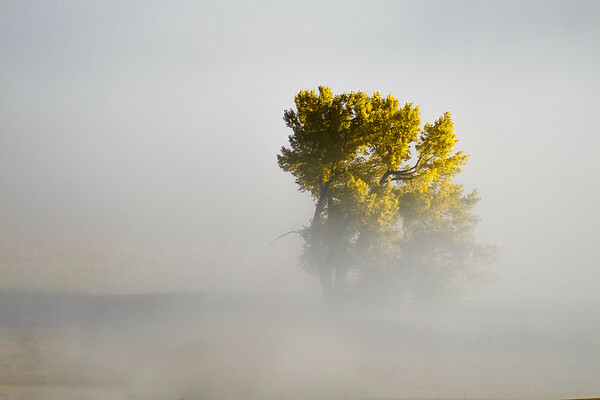 In the first photo of the tree sticking through the fog, it shows how impactful fog can be at simplifying a landscape and putting the focus just on the tree. 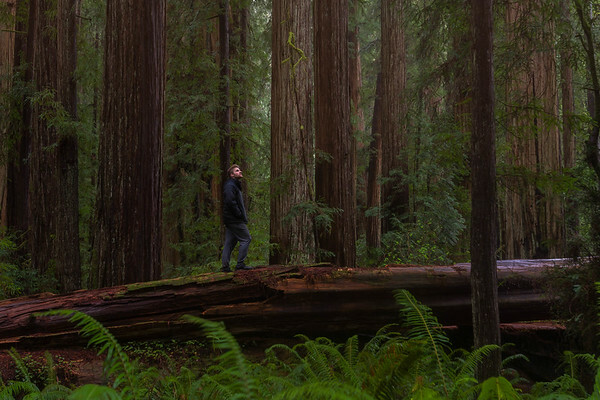 The next photo is of the Redwoods in Northern California. This was a pretty busy scene with a lot of trees, branches, and ferns that created a lot of detail in the picture. I tried to reduce the mount of complexities in this image by one using my composition to exclude a lot of background sky, just including the trees. And secondly, I used post processing to decrease the contrast and flatten the image. This helps put focus on the subject which is the person standing among the trees. Its important to simplify an image as much as you can to decrease distracting element of a image. Finding patterns and symmetry in landscapes is something that I need to work on in my own photography. Adding patterns to a composition is really useful to create a more interesting composition and photo. Symmetry adds a nice balance to an image, making it more appealing to the eye. Patterns can add a extra dimension that puts a photo over the top. 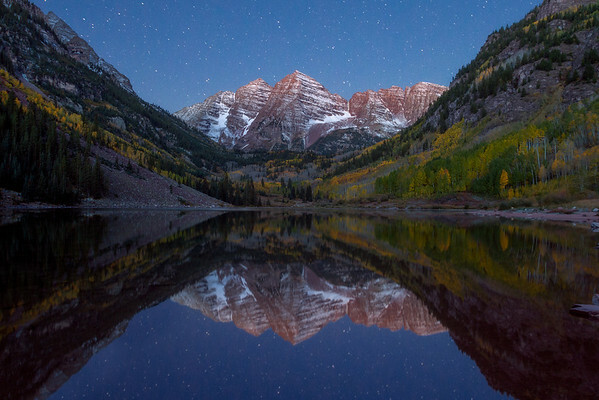 In the first photo of the Maroon Bells, I put the horizon in the middle of the photo, and since it was calm the water was mirroring the landscape and created symmetry. There is also symmetry with the mountains and the surrounding hills leading into the peaks in the center. 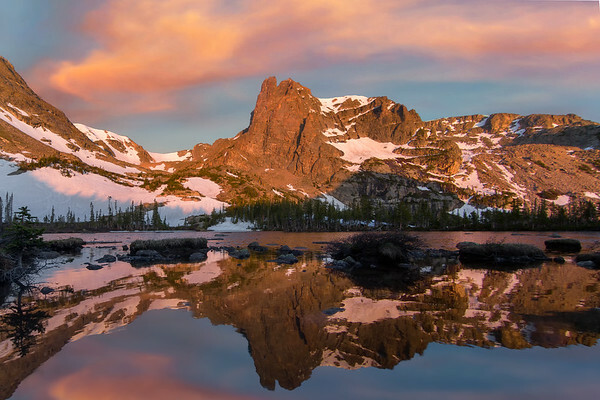 In the second image of Lake Helene in Rocky Mountain National Park, I used the reflective water again to create symmetry horizontally. Symmetry is a great way to make a more balanced and stable image. Composition is one of, if not the most important aspect of photography. Having a great composition can really separate the average from the great photographers. I am always working on improving my eye for photography and coming up with better compositions. These are just some of the things I consider when finding a composition, but there are a lot more factors to consider than just these three. It's important to remember that these are just tips to follow and not rules. You should try and come up with your own style and what works for you. There is no correct composition and everyone likes something different, so go out there and try it for yourself.